A Polish act passed in 2011 had disallowed online poker and forced players within its borders to only exchange money with Polish banks and other financial institutions. However, this past October and November of 2013 saw the country responding to pressure from the European Union Commission by issuing proposals for amendments to the law to open up restrictions, allowing a wider choice of financial service providers. The claim made by the EU, of which Poland is a member, stated that the new act which effectively blocked all business exchanges in this industry from the outside, infringed on the standards set forth by the governing body. Just recently, the amendments to the law kicked into effect and opened the doors for outside businesses to operate with Polish gambling sites so long as they are licensed within the EU. 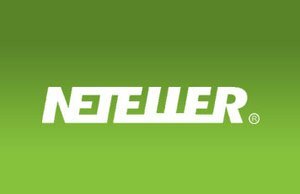 Neteller and Skrill are two prime examples of businesses that have moved in to expand their reach. One caveat that applies to this new exchange venue is that the changes specifically mention that these outside businesses are able to do business with only sites that are currently licensed. Currently the change only applies to sites that are geared for betting on horse racing and sports games but leaves online poker as a very grey area. The three main sources for sports betting activity in Poland are STS, Fortuna, and Totolotek, the largest of the three. Players have little to no trouble accessing outside poker sites and are freely able to withdraw and deposit their money from them as the previously cut and dry attitude towards it seems to have been left unfinished. With a gambling structure similar to that of Finland, other types of wagering are still held in a monopoly structure, sometimes only provisionally, by Polish companies.